1. 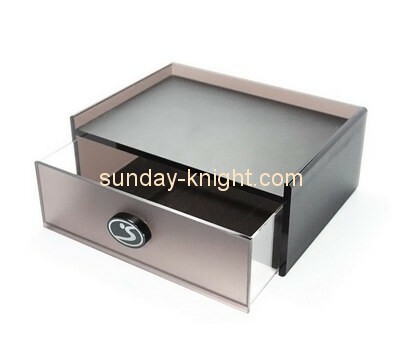 Product name: drawer box. 2. Material: high qualtiy acrylic. 3. Size: Many size can be your choice. 4. Customized designs and OEM are welcome. 5. Logo: silk screen printing & carving. 6. Packaging: each into a bubble bag and a inner box,many pieces put into an outside export carton.